Brand: R.S.V.P. International,Inc. RSVP-ODD5 Units: 1 set/ 5 pcs. total Odd sized measuring spoons. Set includes a pinch, 1/8 tsp., 2/3 tsp., 1 1/2 tsp., and 2 tsp. Made of heavy gauge dishwasher safe stainless steel. 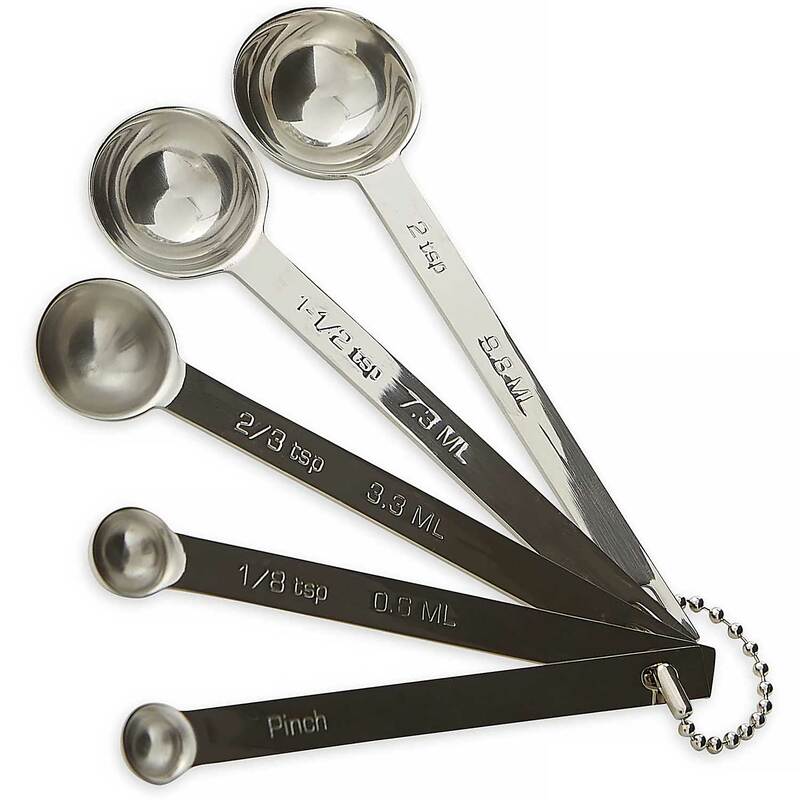 Odd sized measuring spoons. Set includes a pinch, 1/8 tsp., 2/3 tsp., 1 1/2 tsp., and 2 tsp. Made of heavy gauge dishwasher safe stainless steel.